This Saturday, 1 December 2018, Remind are running a men’s carers group at 10am at the Wellness Centre on Palmerston Road in Southsea. The group is for all men who care for a family member or friend who has dementia. 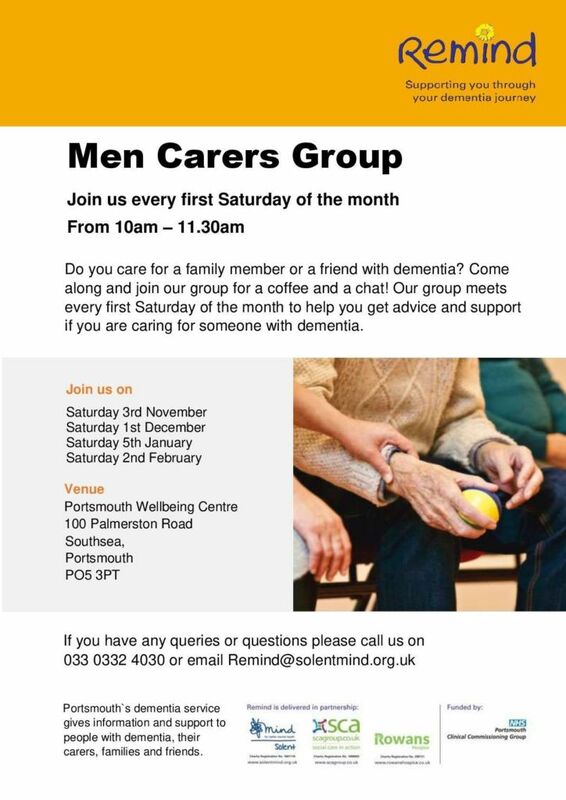 The group meets on the first Saturday of the month Further details in the flyer below or contact Remind on 0330 332 4030 or email remind@solentmond.org.uk.